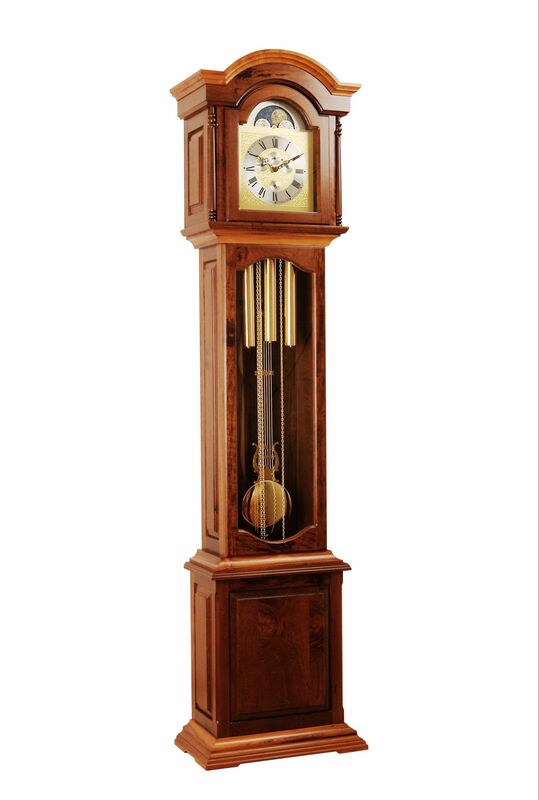 The outstanding feature of this slim scaled floor clock with a traditional arched hood is the Calender dial Hermle movement. Two columns adorn the sides of the dial. The Lyre Pendulum is 165mm in diameter. The rails are detailed. This 8-day mechanical Hermle movement plays the Westminster, St Michael and Whittington melodies and displays the day, date, month and seconds.